Replacement gaskets for Bialetti-type espresso makers. 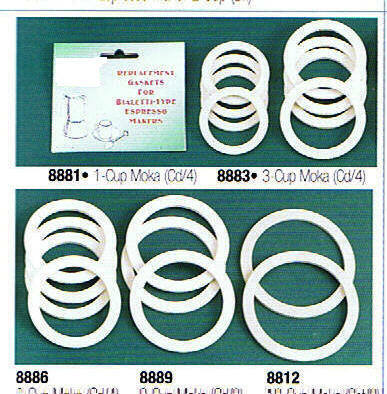 1, 3, 6 cup makers, set of 4 gaskets. 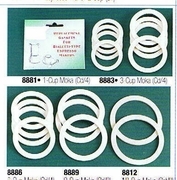 9-cup makers, set of 3 gaskets. 12-cup makers, set of 2 gaskets. Supplier discontinued, stock available as shown next to SIZE CHOICE, WHEN THEY'RE GONE THEY'RE GONE!